IGA Barraba is tomorrow set to become the first supermarket in New South Wales to place a permanent ban on plastic bags. The store owners, John and Karen Bishton, are encouraging customers to use re-useable bags – which are sold at three for $1. They will also offer re-usable bags on loan. IGA Barraba is the largest retailer in the north western NSW town, and accounts for approximately 85 per cent of plastic bag usage among the small town’s 2000 residents. It is now well on the way to joining other towns in Australia to make their communities plastic bag free. Coles Bay, in Tasmania, was the first town to rid their community of plastic check-out bags, with a ban in force since April 2003. A number of other communities have followed suit with the help of Planet Ark. 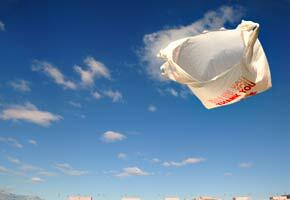 The issue of plastic bags has been a major talking point this year, following the South Australian Government’s decision to outline a plan to ban plastic bags from January 1, 2009. The Greens Party introduced a Bill for a 25c levy on plastic bags to the Senate, while the Victorian Government – in conjunction with ANRA (Australian National Retailers Association) – trialled a levy in three Victorian locations. The results of the trial were considered positive, but full findings are yet to be released. A meeting of State and Federal Ministers in April led to the conclusion that an Australia-wide levy would place too much pressure on Australian families during a time of heightened economic stress. Environment Minister Peter Garrett identified at the time that state governments would be working harder with retailers to ensure that there is increased action to reduce the use of plastic bags. A new Australian-owned brand of flavoured butter blends is now available in Woolworths supermarkets. This makes plastic bags (or sell) price more important. It’s quite a 25c levy actually. Stick to a levy and you will end up being more successful.